The products mentioned in the post were gifted to me by FalseEyelashes.co.uk. 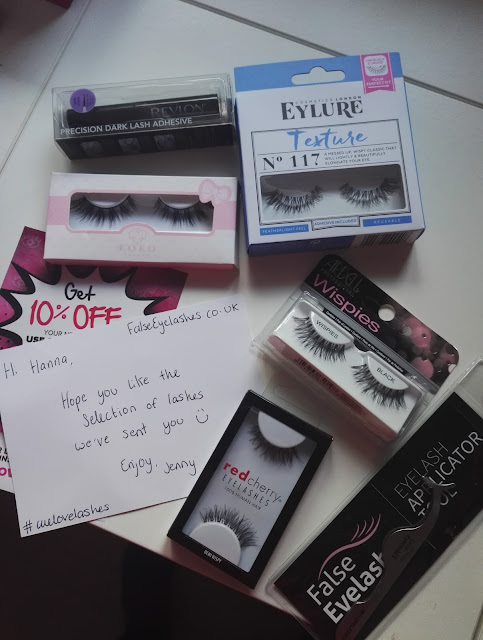 I was recently contacted by the lovely people at https://falseeyelashes.co.uk/ and asked if I would like to receive some lashes for a review post. The timing was pretty much perfect, since I had just decided to (temporarily) give up my lash extensions in an effort to save some money. I don't have a ton of experience when it comes to falsies, so I was very eager to try different styles. I received four pairs of lashes, some lash adhesive by Revlon, and an eyelash applicator tool.